This is the Harry Potter wand with an illuminated tip that lets muggles and wizards alike generate paintings of light. 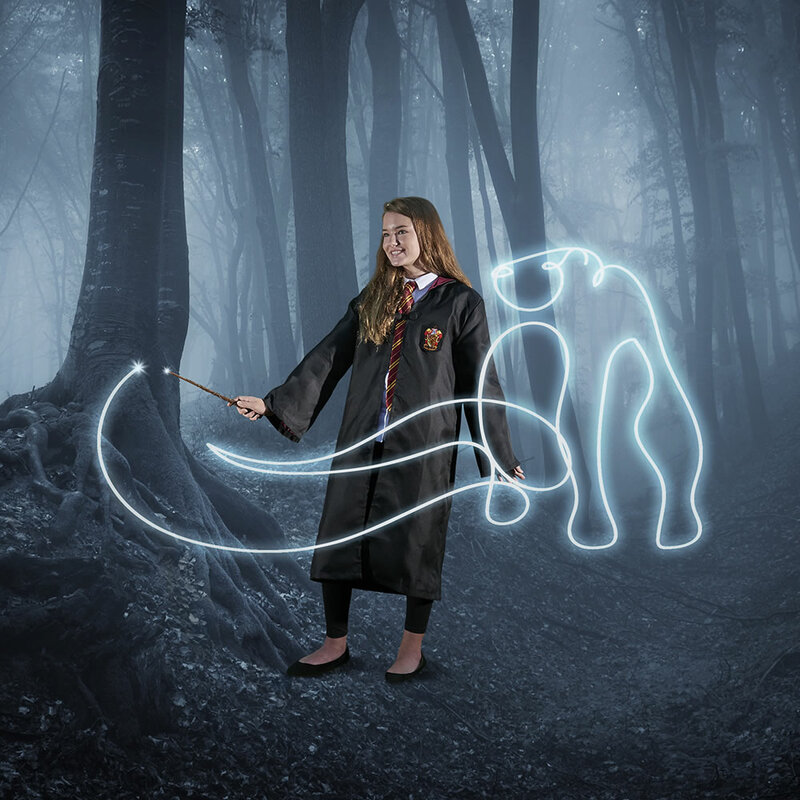 Crafted from resin, each hand-painted replica is modeled after its film counterpart and has a lumos-inspired built-in LED on its end. 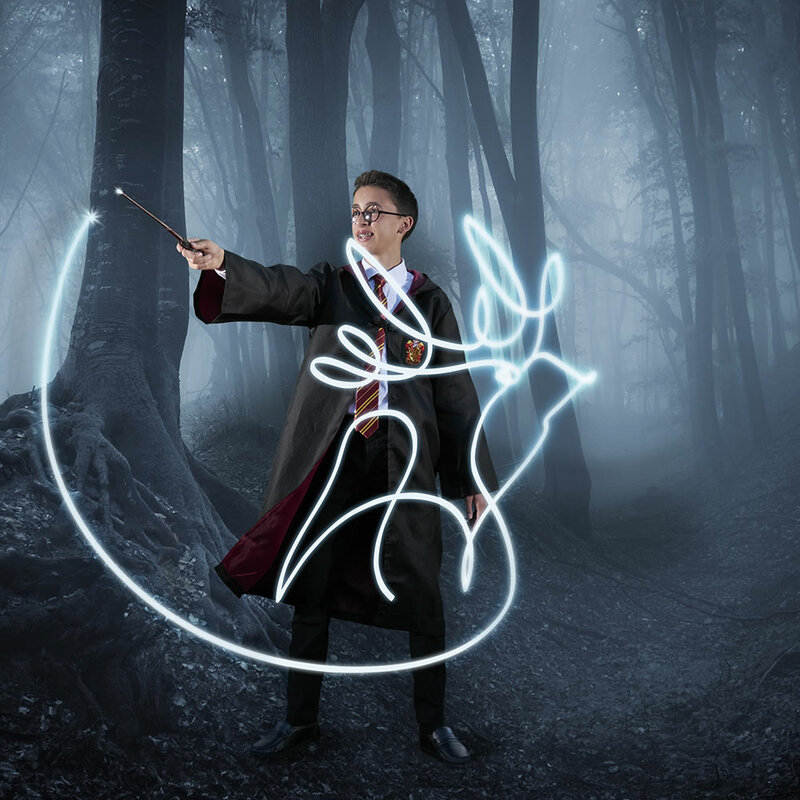 A free iOS/Android light painting app slows a smartphone camera’s exposure, letting an aspiring witch or wizard paint their patronus or draw their name over an elapsed period of time. Includes three button cell batteries. Ages 6 and up. 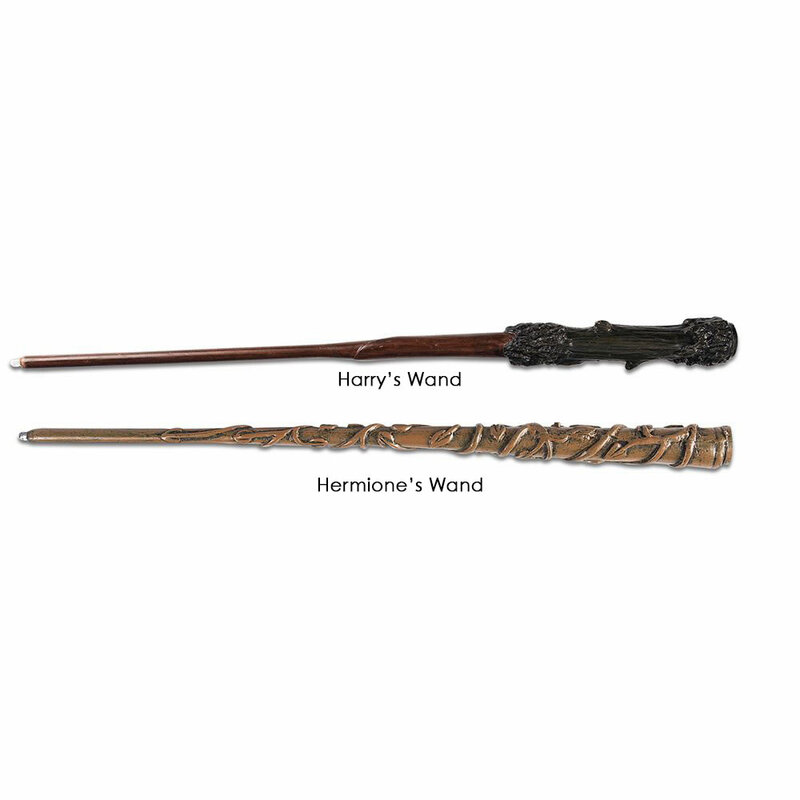 Select Harry Potter or Hermione Granger wand. 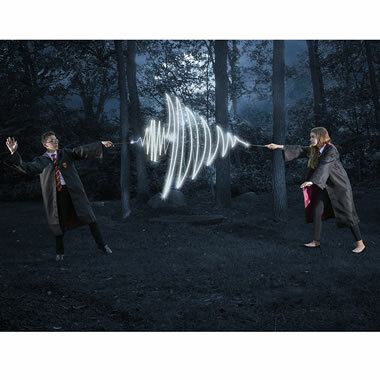 The Harry Potter Light Painting Wand comes with The Hammacher Schlemmer Lifetime Guarantee. Items that we sell are guaranteed for their normal life under standard non-commercial use.